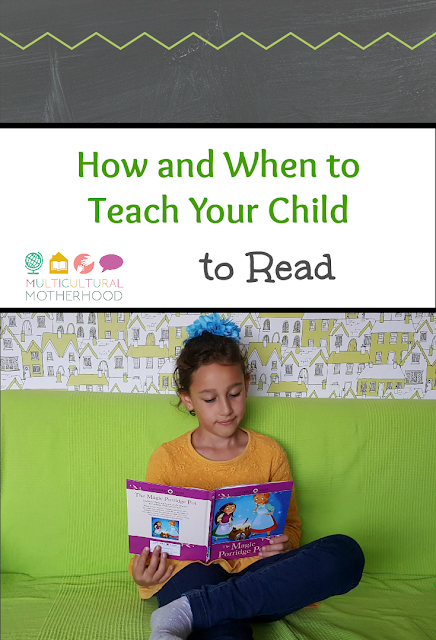 I always get a lot of questions from other homeschoolers asking how to teach children to read. It is a topic that most parents do not really need to think about as their children learn at school. But for homeschoolers, it can be a worry. How should you do it? When should you start? What if they do not want to read? Here I will answer these questions. Research shows that reading to babies improves literacy outcomes later in life. 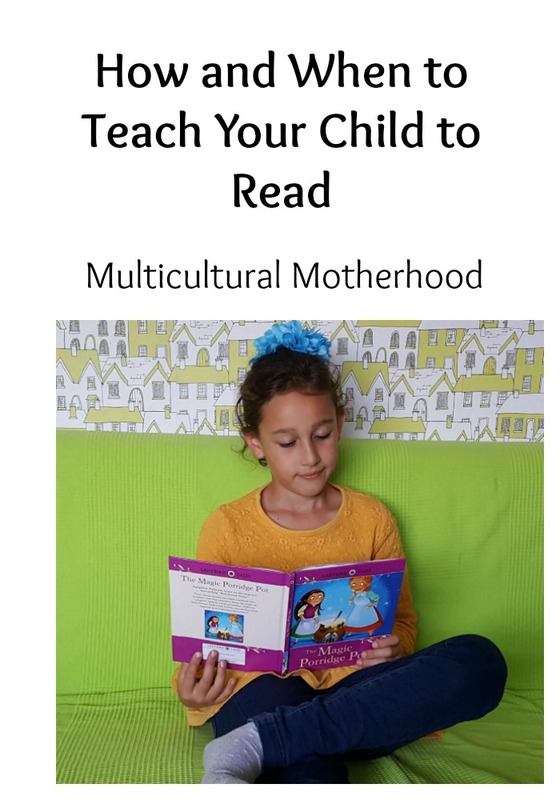 You can read to your babies from birth or soon after. Babies love to hear the sound of your voice and as they get older they will enjoy looking at picture books too. 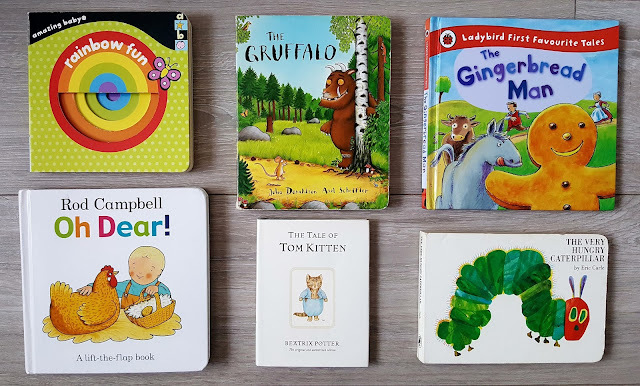 Make sure you have books in the house that your child will enjoy. Make use of the local library to borrow books. When your child gets older, they will be able to choose books from the library themselves. This is great because they will be able to choose books that they are interested in which means they are more likely to enjoy them. Enjoyment while reading is one of the greatest predictors of reading success. It is important that your child sees you reading. If they do not, why would they want to learn to read themselves? Make sure your child sees you reading a whole variety of books and other types of written word such as newspapers or magazines. Show them that reading is fun and a normal part of daily life. Preschoolers or slightly older children, may start to show an interest in letters and words they see around them in their natural environment. They may become interested in the name plaque they have hanging on their door, the writing on their favourite snack packet or the big, bold letters they see at the supermarket. If they ask you about them, talk to them about the letters and words. Talk to them about the sounds and shapes of each letter. You can start to point out other letters and words you see in different locations too. Are they the same or different than letters and words they have seen before? If they show an interest, it is a good sign that they are ready to begin to learn to read. A lot of people think you should start by teaching your child the ABC song. While this is a nice song, it is not very helpful when it comes to teaching your child to read. This is because it teaches the names of the letters rather than the letter sounds. Learning the letter sounds is the crucial first step in learning to read. Teach your child the letter sounds in a fun way. Here are some ideas. We have had lots of fun making letters into animals. I often talk about the fun and versatile ways play dough can be used for learning. You can use it for literacy in a few different ways. 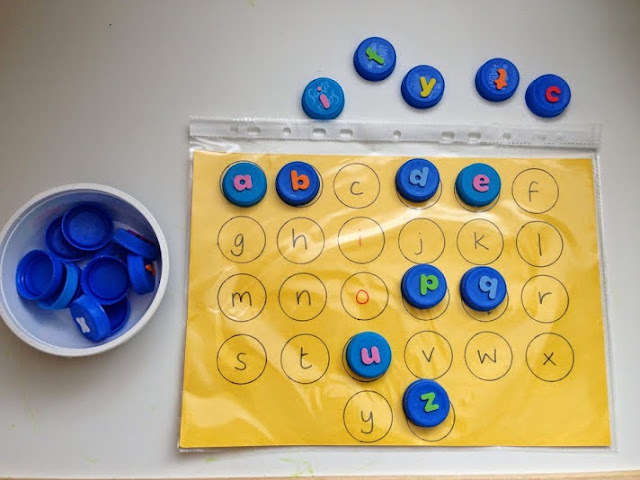 First, you can role it out and use a finger or stick to draw letters on the play dough. Also, you can stick buttons, pebbles or other small parts on the play dough in the shape of a letter. You can use alphabet cutters to cut out the letter shapes. Also, you can roll small pieces of play dough into sausages and bend these into the desired letter shape. Fill a tray with salt and use this to make letters in. Either draw the letters using your finger, or stick, or make letters our of counters, buttons, beads, pebbles or anything else you choose. 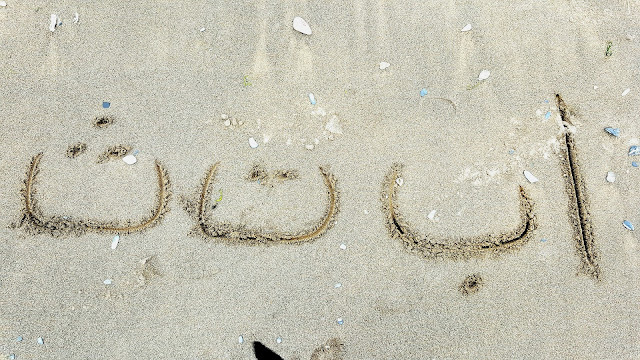 Here we learnt the Arabic alphabet on the beach, but you can learn the English or other alphabet too. Here I made a simple alphabet match game using a piece of card and bottle tops. In my opinion there is too much emphasis placed on learning to read through learning phonics. Phonics is not a great way to learn to read English because English is not a phonetic language. Therefore, when a child learns to read English through phonics, they start to make a lot of errors when trying to read those words (and there are a lot of them) that are not phonetically spelt. Therefore, I am not a fan of phonic 'learn to read' book sets or programs. I much prefer a method that uses a sight word approach. Of course, this does not mean you should ignore phonics. Children still need to be taught certain phonetic rules but they also need to be taught about all the words which ignore these rules completely. Learning sight words from the beginning is extremely important. If your child does not like reading, consider why this might be. Perhaps they are still too young, if so, wait a while. If they are older and still showing no interest, there may be other reasons why they do not want to read. Perhaps they find the books boring. In this case, try them on a different book. Take them to the library and ask them to choose books they would like to try and read. Do not put too much pressure on them. Make sure they are relaxed and calm when you ask them to read. Do not tell them off for making mistakes. Encourage them using positive language. As I said before, make sure they see you reading and explain the reasons that reading is important. Finally, remember that there is no correct age to start teaching your child to read. All children are different and will learn at different paces and at different times. 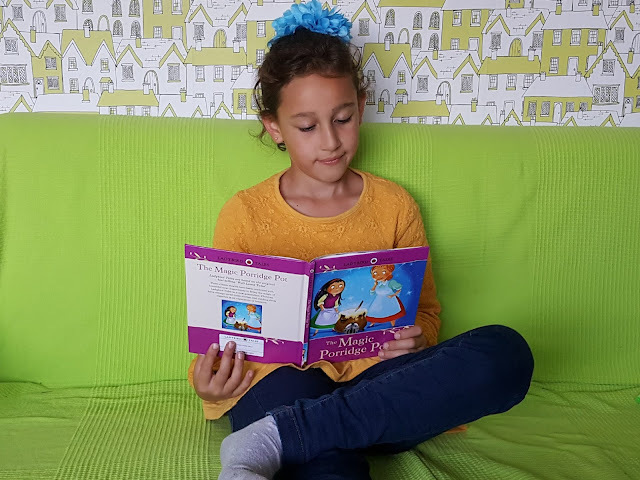 Research shows that before the age of 5 or 6 years old, children do not usually have the cognitive ability for decoding, a process which is necessary for learning to read. This means the neural connections have not yet formed in their brains to enable them to decode printed letters and combine these letters to make words. Studies comparing children who learned to read at the age of 5 with those who learned to read at the age of 7, found that by the age of 11, their reading ability was the same. They also found that those who started learning to read younger, had less positive attitudes towards reading as well as poorer text comprehension. This suggests there is really no rush to push your child to read at a young age and doing so may lead to some negative affects. With this in mind, I believe you should ignore those programs which claim to get babies and toddlers reading letters and words. There is no benefit to being able to read at such an age and, in fact, it may be a disadvantage in the long run. Wait until your child shows an interest; some may show an interest relatively young and others may be older. Always try to follow their lead and you should end up with a happy, enthusiastic reader.